Risto Savolainen is working as a Director at Spinverse and he is leading a team of consultants, project managers and analysts working in the area of Bioeconomy, Circular Economy and Renewable Energy. His highly qualified team supports customers in projects ranging from strategy & innovation consultation, to EU project management & proposal preparation, and hands-on research & commercialisation support. Risto’s industrial background is in Oil, Energy, and Renewables, where he has managed both small and large organisations in local and international environments. His early working career in ExxonMobil was spent both in local and international assignments. There he led several large business and development projects, headed large heating oil business, and worked in global team informally leading large service teams abroad. After ExxonMobil and prior to joining Spinverse, he worked for a Scandinavian Energy company St1 for nine years, where he first was responsible for sales & business development for bioethanol affiliate St1 Biofuels Oy, company that became leading actor for developing waste & softwood based second generation biofuels. For the last 6 years Risto led R&D, engineering, and projecting in the same company. In addition to building and leading required team of experts, Risto acted as owner of most of the development and investment projects in this area. Risto is a leader with versatile business and technology background. He drives to build long-term relationships, to solving customer problems and lead international teams in growth. 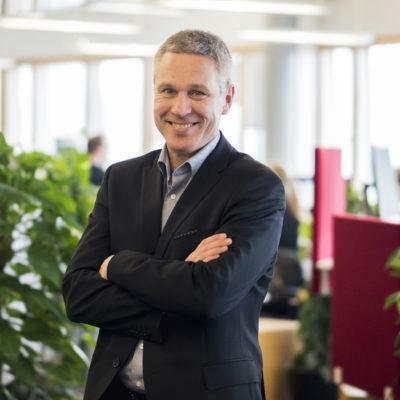 Throughout his career Risto has successfully worked with multitude of companies ranging from large industrial partners to small innovative start-ups. Organizing collaboration for finding new solutions is a passion for him. Risto holds a Master of Science in Engineering (Production Economics) from Helsinki University of Technology, Finland (currently Aalto University). His spare time Risto spends with his family including three sons and wife. He also coaches junior football players and reads as much as possible.